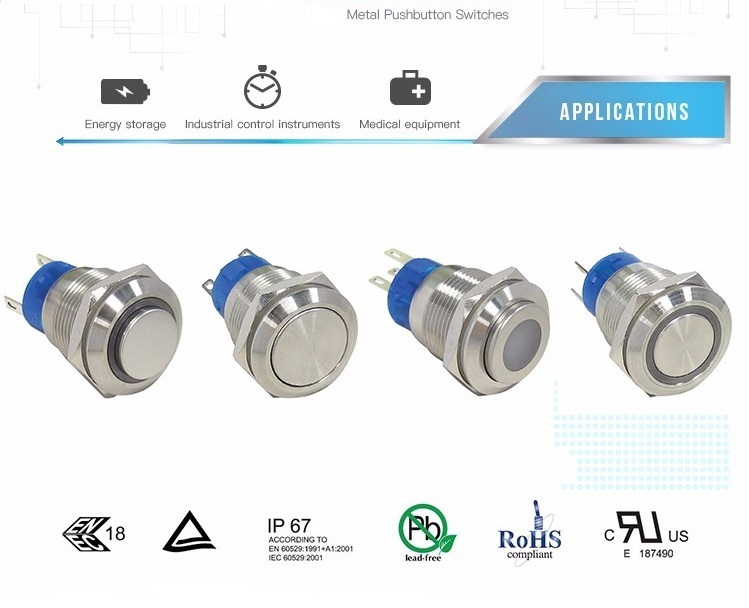 Product categories of 19MM Metal Switches, we are specialized manufacturers from China, 19MM Metal Switches, Metal Push Button Switch suppliers/factory, wholesale high-quality products of Push On Push Off Switch R & D and manufacturing, we have the perfect after-sales service and technical support. Look forward to your cooperation! 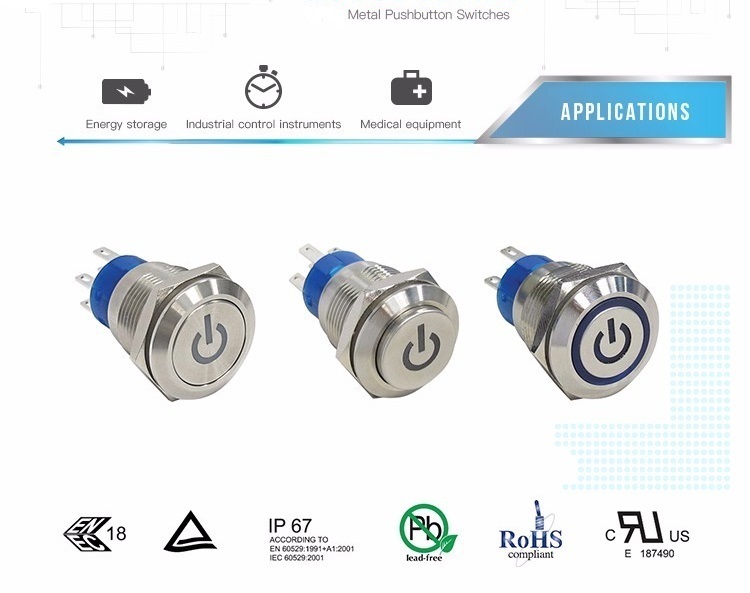 19MM Metal Switches, also known as Metal Push Button Switch in harsh working environment. The most competitive advantage of this Metal Switches is that it is high mechanical life, in which momentary could reach 1,000,000 cycles and self lock is 500,000 cycles. Stainless steel is resistant to damage IK10, it is very hard and reliable. Therefore, this series of metal switch is widely used in automobiles, ships, medical and large mechanical equipment. In order to ensure the trust of our customers, this series Push On Push Off Switch has passed UL testing and certification, IP67 dust-proof and waterproof certification, TUV, European and American environmental protection RoHS and lead-free environmental protection certification . Our 19mm Waterproof Push Button Switch have a variety of materials, including stainless, brass with nickel plated, brass with chrome plated, AI alloy with black anodized. This serious Push On Push Off Switch could offer different LED light, including white, red, yellow, green. Customer can select power logo indicator when controlling the power supply, customers could choose the double color indicator light when Switching different function.